Can Jordan Spieth snap out of his slump? Can Rory McIlroy achieve golf immortality? Or will Tiger Woods cap the greatest comeback in golf history? 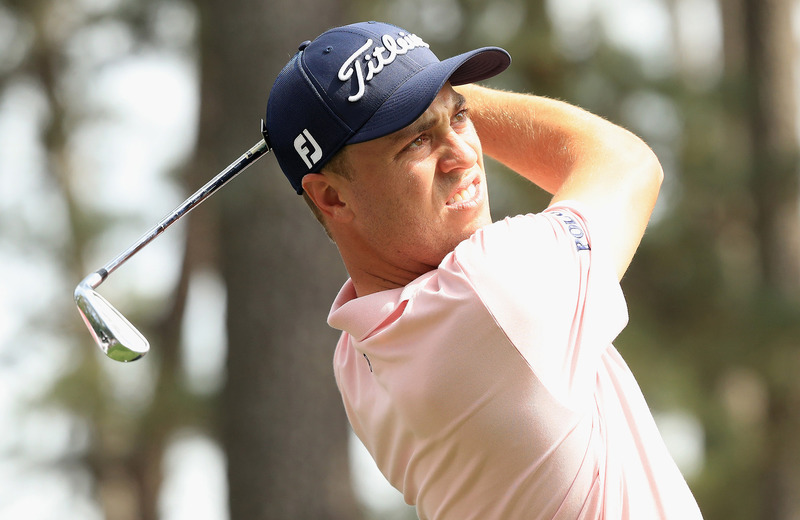 SI.com examines the 10 most intriguing golfers leading into the 2019 Masters. 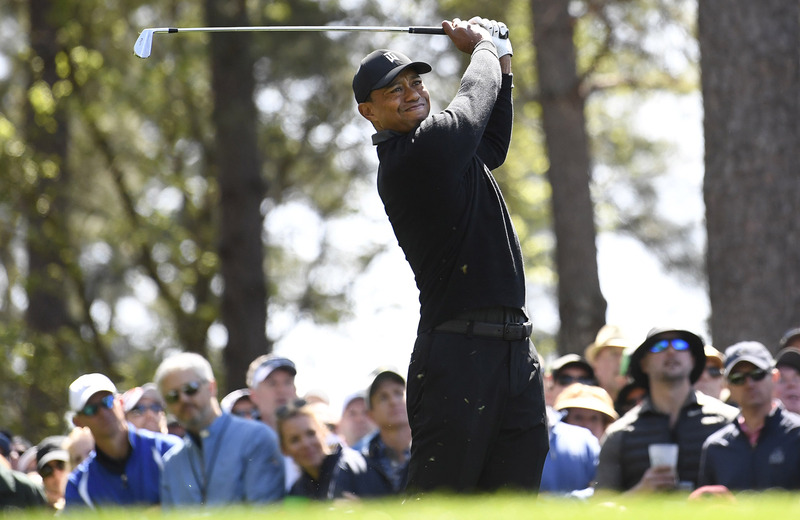 There is always plenty on the line at Augusta, but especially this year, questions abound: Is Tiger's comeback for real (like, for real for real)? Can Rory McIlroy finally get the one major that's eluded him? Does Bryson DeChambeau know what he's doing with those irons? This year's tournament could make or break some of the best in the game. Let's look at the 10 golfers with the most on the line heading into this year's Masters. The good ol' eye test doesn't do Spieth any favors. He's fighting a two-way miss with his driver. His wedge game isn't as precise. Most alarmingly, he looks genuinely uncomfortable on the greens. For anyone who watched Spieth shoot to superstardom by making every putt he looked at, this is hard to believe. Like, Steph-Curry-airballing-free-throws hard to believe. The stats are bleak. This season Spieth is 204th on Tour in strokes gained off the tee; 131st in strokes gained approaching the green; 121st in strokes gained around the green; 81st in strokes gained putting; and 123rd in scoring average. Not surprisingly, he hasn't won a tournament since the 2017 British Open and doesn't have a top 10 finish since last July. Spieth has fallen from No. 2 to No. 32 in the world rankings, and there are 16 other Americans ranked higher than he is. The Masters couldn't come at a better time. Spieth has history at Augusta National: It's the site of the first of his three major championship victories, when in 2015 he tied Tiger Woods's tournament record of 18-under 270 ... as a 21-year-old. It's also where he had his worst moment ever on a golf course, hitting two balls in the water at the par-3 12th to throw away the '16 tournament. Last year he equaled the lowest final round ever at the Masters with an eight-under 64. Simply put, he has played Augusta better than anyone in recent years. (His five finishes: T2, WIN, T2, T11, 3.) Amazingly, Spieth has held at least a share of the lead after nine of the 20 Masters rounds he's played. Would it surprise anyone if that familiar drive up Magnolia Lane jolted his game into gear? He won the Masters by 12 strokes at 21. He won his fourth straight major at the Masters in 2001. But a Tiger victory this week would rival those achievements, for both significance and goose bumps. It would cap the greatest comeback in golf history—and set Woods once again on the course of chasing the sport's greatest record. Woods's 15th major, at 43, would put Jack Nicklaus's record of 18 back in play. (And if you count the U.S. Amateur as a major, as many old-timers do, it would put him just two behind Nicklaus, 20–18.) Watching Tiger chase Jack again would be a lot more fun than arguing over whether injuries, Y.E. Yang, a fire hydrant, tabloid coverage or substance addiction ended Woods's major-winning days. And it would be more fun than the sports argument from hell: "If Tiger is back, why hasn't he won a major?" This would be Woods's fifth green jacket, just one shy of Nicklaus, meaning that Tiger would arrive at Augusta next April with a chance to tie Jack. It would also be Woods's 81st career PGA Tour win, one shy of Sam Snead's record. But wait, there's more: It would give Woods the inside track toward his 12th (yes, 12th) PGA Tour Player of the Year award. Remember that the next time somebody compares Jordan Spieth, Rory McIlroy or any of the other young stars on Tour to Tiger Woods. If Woods wins, he will have claimed green jackets in fields that included Arnold Palmer (born in 1929) and Aaron Wise (born in '96). And it will quintuple the buzz for the next two major championships: the PGA at Bethpage Black (where Woods won the 2002 U.S. Open) and the U.S. Open at Pebble Beach (site of Woods's historic 15-shot victory in the '00 Open). In February, Fowler won the Waste Management Phoenix Open to bring his PGA Tour victory total to five. That number is certainly nothing to scoff at, but it's also not exactly a marker of greatness. Ben Crane, Jonathan Byrd, Carl Pettersson and Mark Wilson have also won five times. Another thing Fowler has in common with those men: zero major championships. The sport's Commercial King—you'd do well to find a Golf Channel ad bloc that doesn't prominently feature Fowler's mug—has been close to a major breakthrough plenty of times. There was 2014, when he finished inside the top five in each of the four events. There was the '17 U.S. Open, when he entered the final round just two back but couldn't muster enough birdies to keep pace. And there was last year at Augusta, where his final-round 67 came up just one shot short of champion Patrick Reed. In the grand scheme of golf (and life), the 30-year-old Fowler is still quite young. He has plenty of time to win big golf tournaments, but a victory at Augusta would completely flip the narrative surrounding his career—which is, put indelicately: great guy, great player, doesn't win enough. It's amazing what major championships can do for a reputation, win totals be damned. Just ask golf's alpha male, Brooks Koepka. He too has only five victories—but because three of those are majors, he's one of the game's biggest stars. Fowler is absolutely good enough to rip off a Koepkaian run. More encouraging news for Rickie: There's ample precedent for a post-30 majors binge. Phil Mickelson had zero on his 33rd birthday; by the time he hit 40, he had four. Padraig Harrington didn't win any of the first 35 majors he played in; then, after turning 35, he took three of the next six. Sometimes floodgates need just the slightest nudge to burst open. Two years ago Sergio García earned the green jacket and emphatically removed himself from the Best Player to Never Win a Major debate. Fowler is four great rounds away from following suit. — D.R. Watch McIlroy swing a golf club—with such effortless balance and raw power—and you'll wonder why he doesn't win every week. The Northern Irishman's generational talent has been plainly obvious since the 2011 Masters, when he held the 54-lead by four shots at the age of 21. He seemed destined for coronation that Sunday—until the 10th tee, when things unraveled. He would play the next three holes in six over par, shoot 43 on the back nine and finish tied for 15th. He wouldn't wait long to avenge that embarrassment. A curly-haired, pudgy McIlroy won the very next major, the U.S. Open, by eight shots. In the process, he became Boy Wonder. McIlroy has done a whole lot of winning since then: three more majors, three Ryder Cups, 20 tournaments worldwide, two PGA Tour Player of the Year awards, a FedEx Cup. But—courtesy of his 2011 collapse—there remains one glaring hole in his résumé: a green jacket. It's all that he needs to become just the sixth player to achieve the career Grand Slam. The others? Gene Sarazen, Ben Hogan, Gary Player, Jack Nicklaus and Tiger Woods. Since McIlroy earned the third title of the career Slam at the 2014 British Open, each April finds the golf world debating if he's ready to join that elite group. The buzz crescendoed at last year's tournament, when McIlroy put himself in position to win before closing with a 74. There will once again be no shortage of career Slam talk this go-round. McIlroy's recent play has guaranteed that. You can make a strong case that Rory is the world's best golfer. He currently leads the Tour in strokes gained off the tee, strokes gained tee to green and strokes gained overall, and he is second in the FedEx Cup standings. A recent knock has been his inability to close out tournaments—he hasn't won any of the last nine times he's played in the final group on a Sunday—but he crushed that narrative by beating the best field in golf at the Players Championship three weeks ago. Now, the man formerly known as Boy Wonder—29, with short, gray-tinged hair and six-pack abs—returns to Augusta National, where he's had five straight top 10 finishes. With a victory, he achieves golfing immortality. — D.R. The Tour iis awash in young stars. But DeChambeau is different, because he is not just a golfer. He is a movement. The world's sixth-ranked player, he challenges almost every golfing convention, most notably because each of his irons is the same length. Single-length irons are a growing but still small share of the market. If DeChambeau wins the Masters, watch out. Everybody from your local muni to the PGA Tour will wonder if this is golf's version of MLB's valuing on-base percentage or the NBA's emphasis on three-pointers—a revolution that seems obvious in retrospect. The beauty of single-length irons, from a marketing perspective, is that the advantage is easy to grasp. Everybody wants a repeatable swing, so why shouldn't your clubs be as similar as possible? DeChambeau certainly seems to believe that they simplify his game. There is a precedent for a Masters victory spurring an equipment craze. When Jack Nicklaus won in 1986, at age 46, sentimentalists cried and golf nuts wondered what the hell was in his hands. The answer: an oversized aluminum blade putter called the MacGregor Response ZT 615. Compared to the typical blade putter, it looked like it belonged on a runway. Tens of thousands of weekend golfers bought the MacGregor Response ZT 615. This was, of course, like writers buying a replica of J.K Rowling's laptop; the tool did not make the artist. But the point is: Nicklaus's win started a buying mania that equipment experts are still talking about three decades later. That would be nothing compared to what would happen if DeChambeau, 25, wins the Masters. Nicklaus's putter only really caught fire with amateur golfers. A DeChambeau title could cause some pros or near-pros to take a hard look at what's in their bags. The other top players wouldn't suddenly change, but some of the guys vying to get to the top might. 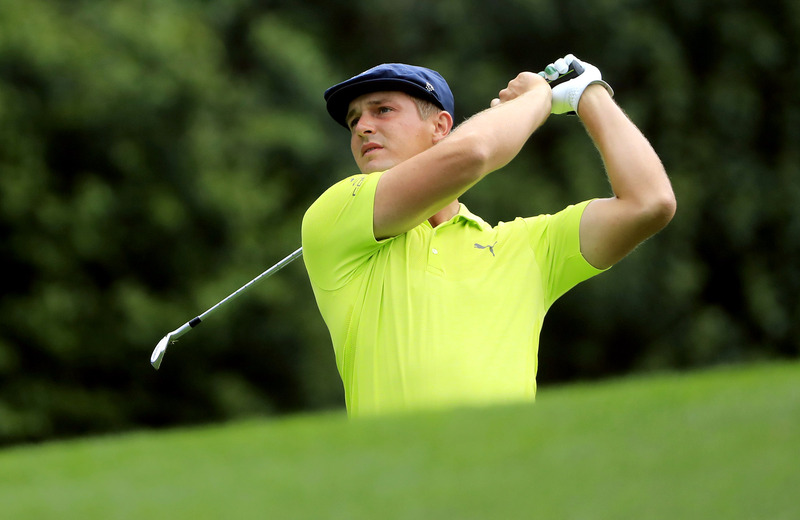 DeChambeau thinks he has a better way. One week in Augusta could convince a lot of people to join him. —M.R. Since winning the PGA last August, Koepka has lost weight, distance and (for now) the chip on his shoulder. He shed 24 pounds on a new diet, and lost 10 to 12 yards off the tee, one assumes, because his slimmed down frame is not quite as powerful. As for the lost chip, that is for the best: Koepka was everybody's player of the year last year. He has outgrown his nobody-respects-me mind-set. Koepka will arrive at Augusta National as a full-blown superstar. If he wins, he will leave as one of the most dominant major champions of all time. Yes: of all time. A Masters victory would be Koepka's third major championship in four tries. Jack Nicklaus won three out of four ... once. Woods only did it once too—his Tiger Slam from 2000 to '01. Koepka would also claim pole position for best golfer of his era. It would be his fourth major, tying him with Rory McIlroy and putting him one up on Jordan Spieth. And Koepka is just 28. Koepka has the distance and putting stroke to win at Augusta National. If he pulls it off, his reputation goes from Guy with No Pulse to Mr. Clutch. He might even go from excellent player to gallery favorite. Fans just get more emotional about Masters champions than U.S. Open or PGA winners. They might actually fall in love with Brooks Koepka—even if there is less of him to love. — M.R. Greg Norman spent 331 weeks as the No. 1 golfer in the world. Nick Faldo spent 97. But ask any golfer whose career he would rather have, and they would all say Faldo’s. That's because Faldo won six major championships, including the Masters three times. Norman won two. Norman’s career is remembered at least as much for the times he didn’t win as the times he did. That’s not entirely fair to Norman, but that’s how much we value major championships. And this is where Johnson may be headed. Johnson is so good in so many ways that sometimes he seems like he was assembled in a TaylorMade lab. He has won 20 PGA Tour events, an extraordinary number. But he is also 34, and he has won major, and you do wonder sometimes if his career will look like Norman’s. Johnson could write a book about all the times he nearly won. There was the three-putt on the 72nd hole of the U.S. Open at Chambers Bay … the Saturday afternoon 77 on a fast, baked course at last year’s U.S. Open at Shinnecock Hills … the time he withdrew from the Masters after injuring himself at his house that week … the two double–bogeys on Sunday that kept the green jacket off his shoulders in 2016. Some of these incidents are just bad luck. Johnson probably would have won at Shinnecock if conditions had not been so looney late Saturday; he was, in effect, punished for playing so well the first two days. But at some point, these are not heartbreaking aberrations; they are who he is. Johnson can hit all the shots, but can he hit the one he needs to hit when the world is watching? The results, candidly, are mixed. And yet: Johnson is so good (he is No. 1 in the world at the moment) that he can change the narrative about himself. Remember: for a long time, Phil Mickelson couldn’t win a major, and his trophy case looks pretty good now. Nobody question’s Johnson’s talent, his game or his drive. The only question is about his head. Fair? Nah, not really. But reputations are not always fair. Ask Greg Norman. — M.R. Thomas has won a major (the 2017 PGA), he rose to No. 1 in the world last year and has been a fixture in the top five of the rankings. And yet, as one of the game’s sharpest observers has noted, there is a pattern to his success. Thomas has excelled on long, straightforward courses, but still has to show he can play the kind of creative golf that usually wins the Masters or British Open. There are plenty of reasons to believe he can and will. Thomas is only 25. We forget how young that is, historically, for a great golfer. He showed during last year’s Ryder Cup that he loves high-pressure environments. He is, like most players of his generation, more determined to win the Masters than any other tournament. And when he gets hot, he gets really hot, no matter the course. Last year on Masters Sunday, Thomas’s playing partner, Jordan Spieth, shot a 64 to at least put a scare in the leaders. Thomas’s father and coach, Mike, was kicking himself afterward. Justin can go low as well as anybody in the world. Mike should have fired him up to do it, instead of assuming that Patrick Reed and Rory McIlroy were too far ahead for Thomas to catch him. A pep talk from Mike probably wouldn’t have made a difference. But the greater point is that Mike was right: Justin Thomas can go low as as well as anybody in the world. There is a pretty good chance that one of these years, Thomas will shoot a 65 or better on Thursday or Friday, take the lead into the weekend, and hang onto it. If Thomas does that this year, he will change the conversation, inside and outside the golf world. It might make him the golfer that both serious and casual golf fans most want to watch, whenever he tees it up. Unlike Brooks Koepka, Thomas wins plenty of regular PGA Tour events (he has nine so far). With two majors and a strong Ryder Cup performance on his resume, he would have a reputation for coming through in big moments. Americans may look back on this era in golf and determine that Thomas was the best player. But that will probably only happen if he wins a Masters. — M.R. For the first 18 years of his professional golf life, Matt Kuchar enjoyed a reputation as the one of the Tour’s true nice guys. He never curses on the course and he seems to always have a smile on his face. You’d be hard-pressed to find anyone who had anything negative to say about Kooch. And then El Tucan happened. You’ve probably heard the story by now, but here are the basics: Kuchar’s full-time looper, John Wood, couldn’t work during November’s Mayakoba Classic in Mexico. So Kuchar employed a local Mexican caddie, David “El Tucan” Ortiz, for the week and picked up his first PGA Tour win in four years. It later leaked that, per an agreement the two made before the event, Kuchar paid Ortiz just $5,000 for the week. That’s roughly 0.4% of the $1.3 million winner’s check; standard practice on Tour dictates that a caddie receive roughly 10% of winnings. After a media and public skewing, and a cringeworthy initial defense of his stiffing, Kuchar coughed up another $50,000. But then he managed to find himself engulfed in yet another controversy just two weeks ago, when he didn’t give Sergio Garcia a six-inch putt in time then gave one of the odder explanations you’ll ever see. It’s safe to say that public perception of Kuchar has shifted, and it comes as he’s been playing some of the best golf of his career. He already has two wins on the season (the Sony Open in January was his ninth Tour victory) and he wound up reaching the final of the match play after the Sergio ordeal. He also has a sneaky good record at the Masters, with four top-10 finishes and just one missed cut in 12 appearances. The good news for Kuchar: virtually no scandal is so bad that it can’t be remedied by a victory. Should Kuchar find a way this week, he would flip public opinion again and have 2019 be remembered for his play, not his wallet. Let’s also not forget the golf-legacy stuff: now 40, Kuchar doesn’t have eons of time to remove himself from the Best Player to Never a Major conversation. A green jacket would see him reach 10 wins, with a major and Players championship. That’s a borderline Hall of Fame résumé. — D.R. Ask golfers who the best player in the world is and the most common answers are Rory McIlroy and Dustin Johnson. They look like what you’d expect the world’s top golfer to look like: Jaw-dropping talent, explosive games and the ability to leave fields of world-class players in the dust. But neither of them are the No. 1 player in the world, at least according to the algorithm that determines this type of thing. That’s Justin Rose. Rose has risen to the summit of the sport via ruthless consistency. In his last 14 worldwide starts he has 10 top-10s, including two wins, two seconds and two thirds. It’s almost automatic, the way he seems to inevitably rise to the first page of leaderboards before 72 holes are over. You get the sense that if every tournament were eight rounds instead of four, Rose would win way more often. Sometimes he seems to just run out of time. But tournaments aren’t eight rounds, and Rose still needs an emphatic victory in a big tournament to show everyone that he indeed deserves a seat at the Top Dog table. His U.S. Open title was nearly six years ago now, and he’s deep into his 30s, but Rose is playing the best golf of his career. Golfer’s primes come at different ages—Rose’s is now, and it would be quite the shame if he let this window of excellence come and go without adding a second major championship to his mantle. Vegas loves his chances this week, and he will, too. He’s never missed the cut at Augusta and he’s finished in the top 15 in each of the last five Masters. That includes 2017, when he was in prime position to win the tournament before Sergio Garcia had the afternoon of his life. Rose is a virtual lock to finish in the top 10 this week—that can be said pretty much every week—but that wouldn’t do much toward changing his reputation as a perennial contender but rare closer. A green jacket, though? That just might do the trick. — D.R.